Playa de Castilnovo is a beautiful wide sandy beach located to the south of Conil de la Frontera. 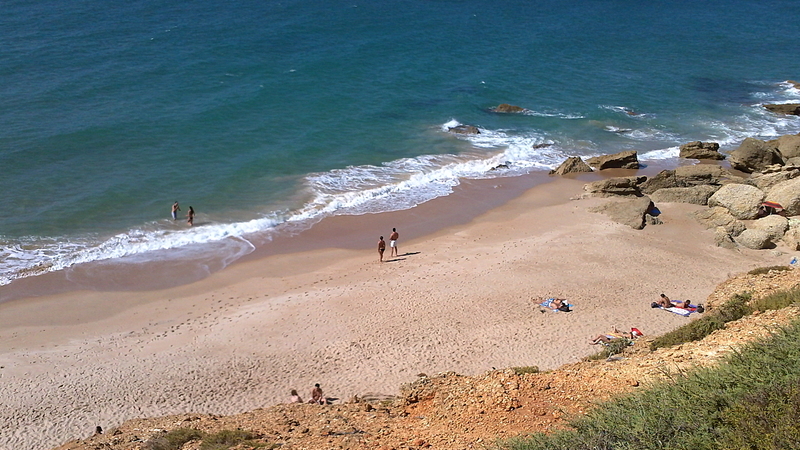 Castilnovo beach is an extension of Conil's main beach, Playa de los Bateles. The two beaches are separated by the river mouth of the Rio Salado, which you can easily cross at low tide (there is also a bridge). 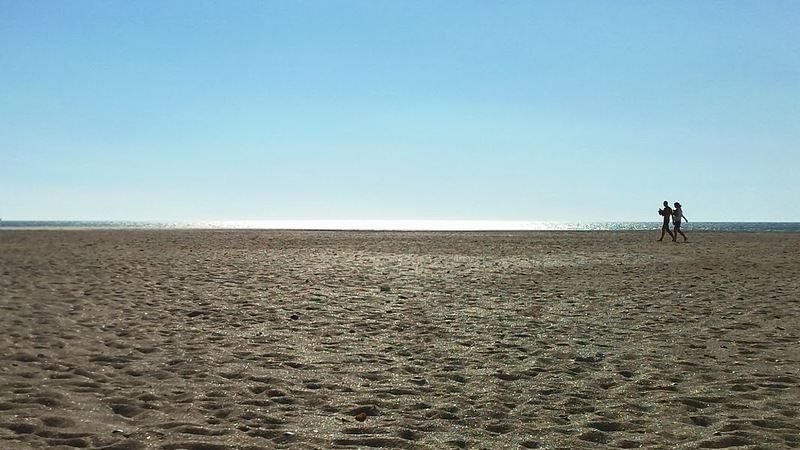 Around high tide the river mouth becomes a 300 metre wide lagoon with shallow flat water that’s ideal for kitesurfing, especially for beginners. Endless sandy beaches, charming white villages, traditional ferias and fiestas, beautiful historical cities and more than 300 days of sunshine per year. 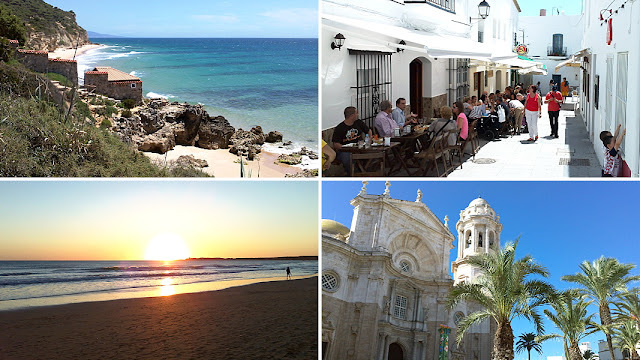 The Costa de la Luz, the Atlantic coast of Andalucía, is still a well kept secret to non-Spanish tourists. 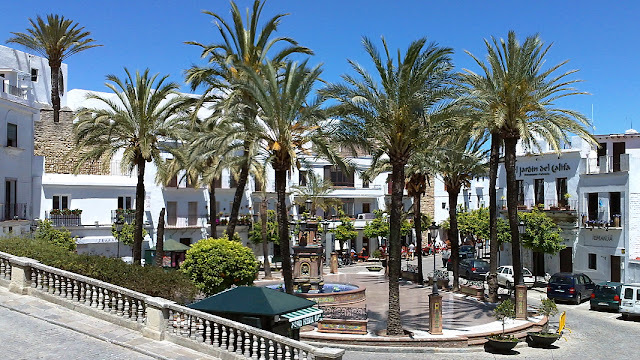 Due to the absence of an international airport until 1993 this wonderful part of Spain has not been taken over by mass tourism and you can still experience the real Andalucía here. To the north of the fishing port of Conil de la Frontera and the lighthouse of Cabo Roche you'll find the beautiful Calas de Roche. The small romantic coves, with names like Cala Tio Juan de Medina and Cala del Aspero, are easily accessible via a staircase and perfectly sheltered from the wind by the surrounding cliffs. Outside of high season the coves are usually very quiet and you may have a small sandy beach all to yourself. At the end of the day the sun casts a beautiful orange glow on the cliffs as it slowly sinks into the ocean. About 20 kilometres north of Tarifa, hidden between the Sierra de la Plata and the Sierra de San Bartolomé, lies Bolonia. The breathtaking beach of this small coastal village is according to many people the most beautiful beach on the Costa de la Luz and one of the most beautiful beaches in Spain. 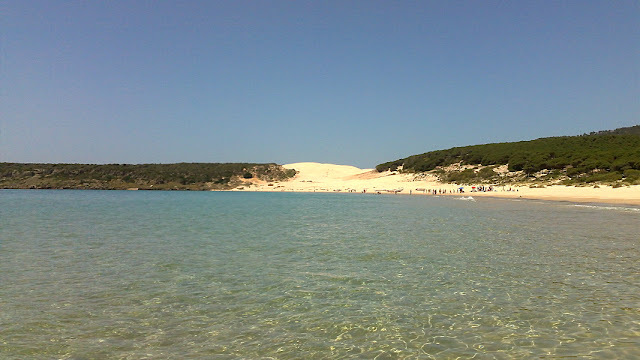 Playa de Bolonia is beautifully situated in a large bay with crystal clear waters and 30 metre high sand dunes as a backdrop. Directly next to the beach lie the ruins of Baelo Claudia, one of the best preserved Roman cities in Spain. Vejer de la Frontera is one of the most attractive and spectacular white villages of Andalucía. The picturesque pueblo blanco is beautifully situated on a rocky hilltop (200 metres above sea level) only a few kilometres from the long sandy beaches of El Palmar, Los Caños de Meca and Conil de la Frontera. Vejer was declared a national monument and voted as one of the most beautiful villages in Spain, but is (thankfully) still untouched by mass tourism. Even during the summer months you can enjoy the best wines and tapas Andalucía has to offer in a quiet and relaxed atmosphere.